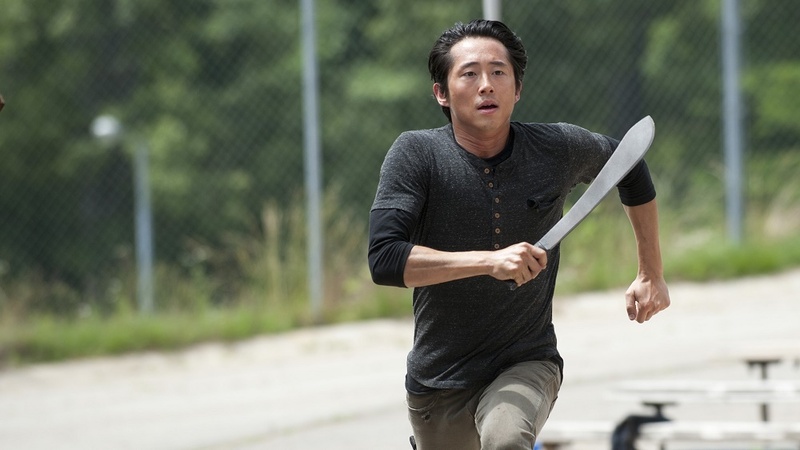 The Walking Dead: Will Glenn live through Season 6? Rorgan fans rejoice: The Rick and Morgan relationship is about to make a big-time comeback. This according to series creator Robert Kirkman. Kirkman, never one to provide any real spoilers, recently sat down at a National Association of Broadcasters conference and gave a scant few details on what’s ahead for the return of The Walking Dead later this year. We’re sure more details will be released as the premiere of Season 6 edges closer, but right now all we really know for sure is that Rick and Morgan’s late Season 5 reunion won’t come to a quick end. Expect to see these two bros together for the long haul. Kirkman admitted the reunion was a big deal, and promised it would take up a good chunk of the upcoming season. However, he also reminded fans that things may not be as they once were. Since Morgan and Rick parted ways, the two survivors have each been through a lot and have changed significantly. Those changes could have a huge impact on the dynamics of their relationship. Commence fangirl squealing here: Eeeeeeek!